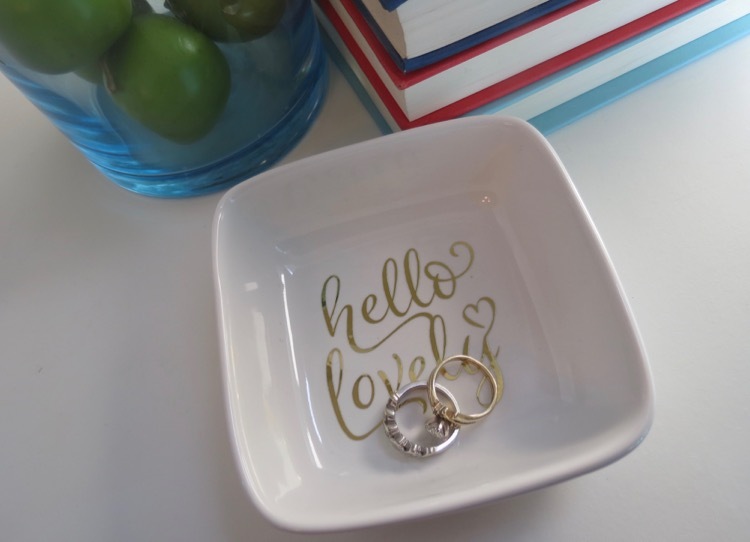 I fell in love with this jewelry dish that Analisa made over at All Things Target and I knew I wanted to make one for myself. I love that the dish only costs $1.99. I made mine using my Cricut, if you don’t have a craft cutting machine you can use rub-ons or stickers instead. Cutting out the image is super easy! Once I loaded the image into Cricut Design space I sent the project over to my Cricut Explore Air. 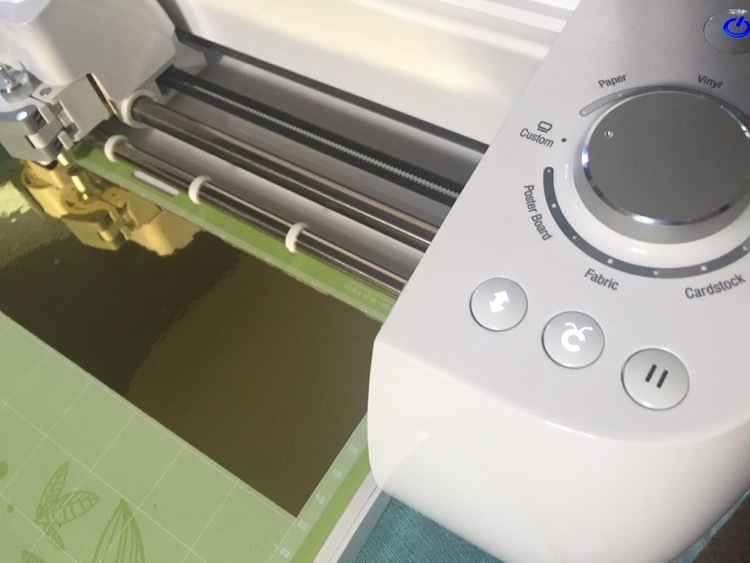 Simple cut a piece of adhesive foil big enough for your project and select “custom” on the dial of your machine. 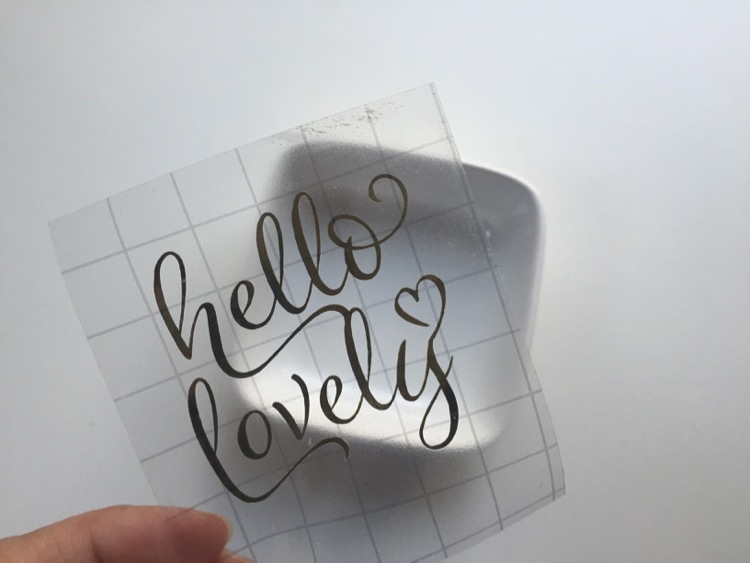 Select Adhesive Foil via Cricut Design Space and cut. 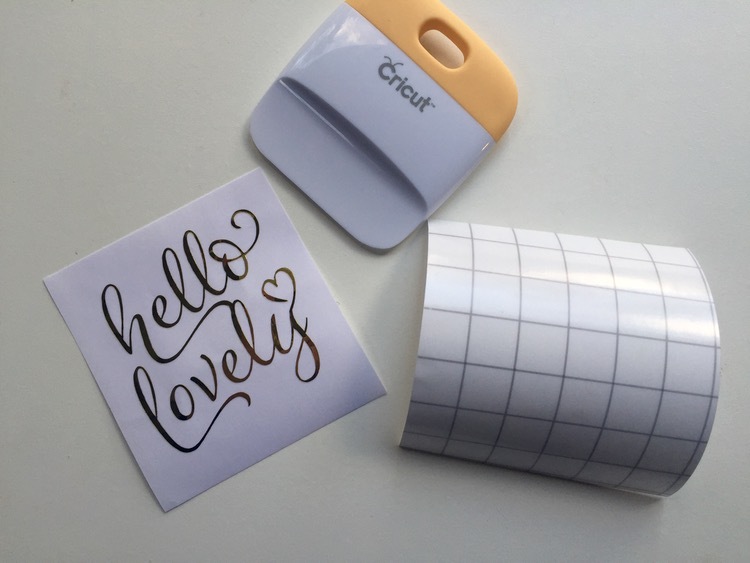 In order to transfer the image you will need to use the Cricut Transfer tape an add it to the top of your image. Use the scraper to make sure the image attaches to the tape. Pull off the tape and your image will be attached. Voila! It’s just like magic. Lastly, add the image to the dip bowl. 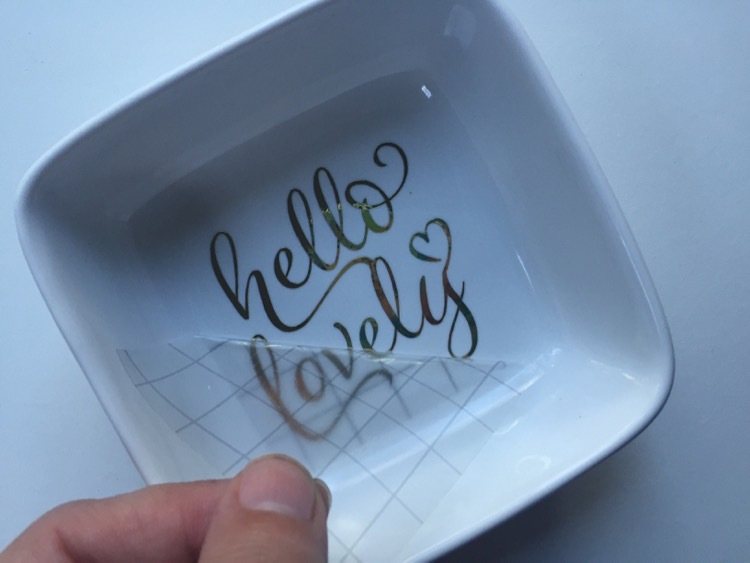 It is amazing how easy this is, the transfer tape came off easily and the image stay put. 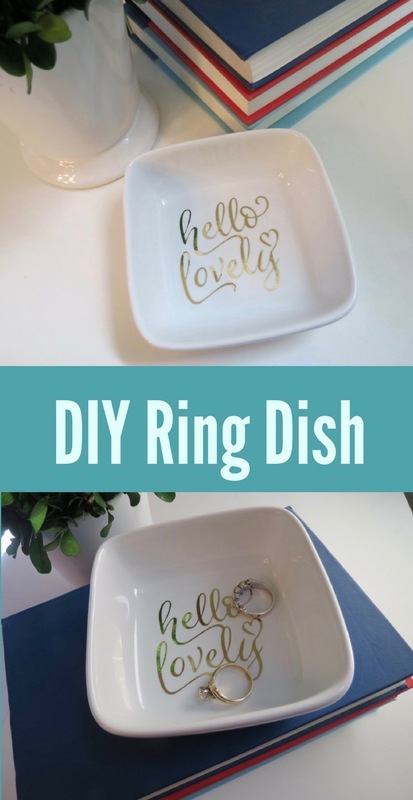 I now have a custom made Ring Dish! My daughter and I are thinking about making these for several of her friends for Christmas. 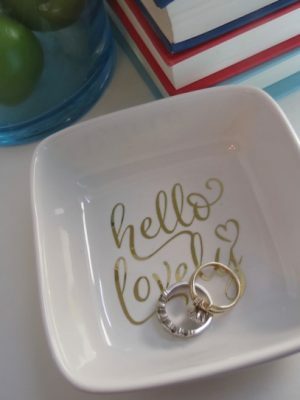 You can customize them anyway you want, with initials, images, or sayings. 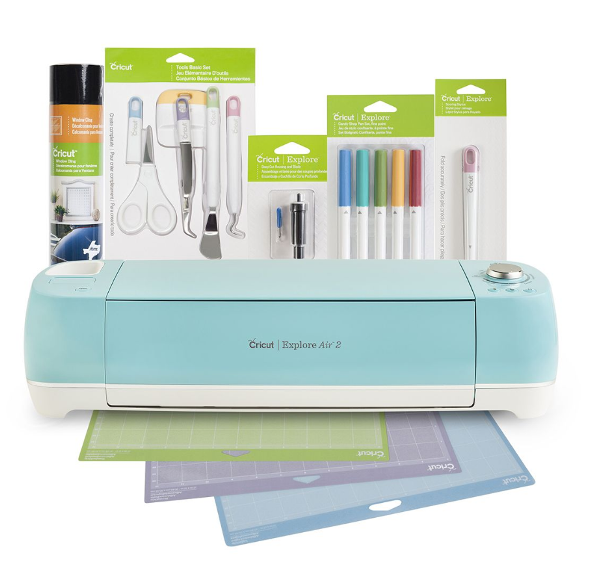 Check out more Cricut deals and project ideas. 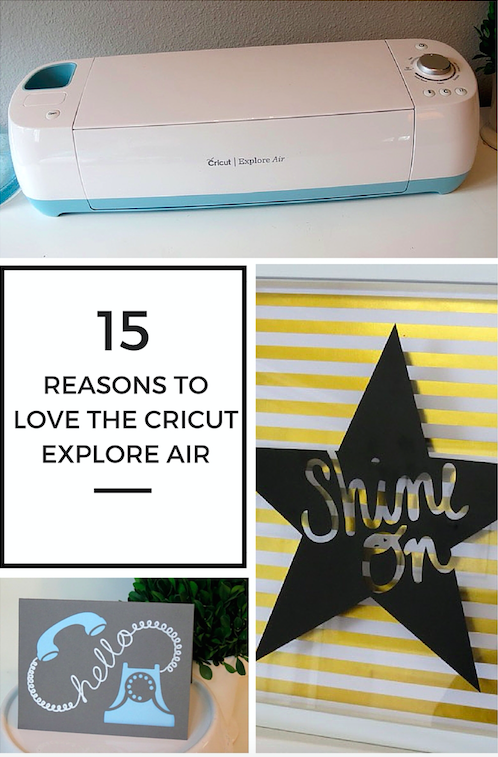 If you want to learn more about the Cricut Explore Air, check out the 15 reasons to love the Cricut Explore Air. HI There – would you mind sharing what font you used for this?? Thanks so much! Such a cute idea, looking to do something similar for my bridesmaids.